When self-proclaimed atheist Fadesola gets into medical school, she believes that it’s a fresh start of sorts for her. Until she discovers that her classmate is charming and handsome Tayo Smith, a man she encountered in a violent moment years ago. This revelation shatters Fadesola’s already fragile emotional state, but hope comes where she least expects it. A seemingly innocent friendship with Tayo’s friend, Ladi, slowly develops into a smoldering relationship, with both afraid to acknowledge their mutual feelings. Things get even more complicated when Nikky, Fadesola’s classmate and friend, ignores her desperate warnings and decides that Tayo is the man she is meant to be with. However, within the complexities of this friendship these flawed individuals will experience God’s redemptive grace in a setting each believed his love would never find them. 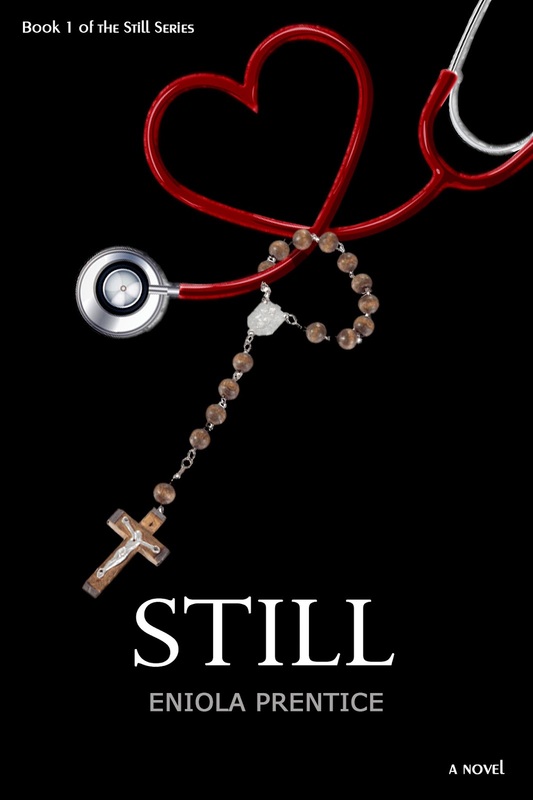 Still, the first book of a four-part series, is a coming-of-age story about navigating through medical school in the first year, complete with hilarious hookups and breakups, legendary parties and incessant studying, and experiencing the triumph of success and disappointment of failure. Eniola Prentice, in her extraordinary debut novel, has written a gripping and thought-provoking story that examines Christianity, mental illness, suicide, and alcoholism. Amber: Congratulations on your debut, Eniola! How would you describe your journey as an indie author so far? 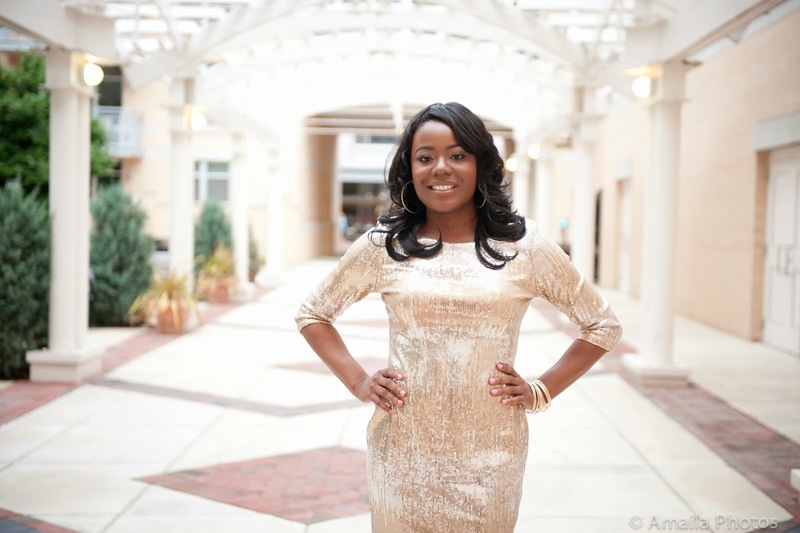 Eniola: Thank you so much! I would describe it as definitely interesting and challenging. I have had a steep learning curve. I have had to change my plans and adjust, as things changed. My best advice for anyone is that you have to press the mute button at some point. There is so much advice out there on writing, publishing, marketing - some good and others definitely bad. It’s important you trust God and drown out other voices and just take the leap of faith. It has also been a rewarding experience because indie publishing can be very nurturing and collaborative. I have formed connections with people that I never thought was possible. Amber: I understand what you're saying about the overwhelming amount of "advice" out there. And so true about the wonderful relationships the journey fosters! Eniola: LOL. That is definitely an interesting question. I would say perseverance. My journey through medical school was not typical and it took a dogged faith in God to get me through. Most times I don’t believe it’s my faith that got me through but by His grace. You experience a lot of rejection while writing and publishing a novel; it’s inevitable. The determination I learnt from medical school enabled me to continue writing, continue pushing, continue marketing, to continue doing what I had to do when most times I did not feel like or did not even believe in my novel anymore. However, the perseverance God has given me helped me get up again whenever I felt discouraged. Amber: Great takeaway! Now is Still part of a series, or is it a stand-alone? Eniola: It’s part of a series just because I wanted to present an accurate portrayal of each year of medical school. Although it’s part of a series, I want to plan the series so any reader could read any novel of the series and enjoy it without having to read the preceding series. Amber: Nice! Which of your characters are you most eager for readers to meet? Which character’s story resonates the most with you as the author? Eniola: I am most eager for readers to meet Nikky. She’s very feisty and she’s the character whose personality mirrors mine. She has the personality I show my close friends. She’s also very childlike and I love her innocence. Fadesola’s story resonates with me the most. She was the most difficult for me to write because I put exaggerated portions of the more challenging aspects of my life in her. Even during the editing process I did not like to read her parts in the novel because it was difficult. She resonates with me the most because she does not understand her strength even in her brokenness. Like a lot of us, she has yet to grasp the width of God’s love for her. The love she has been searching for is right in front of her. Amber: Nikky does sound like a fun character! And characters like Fadesola, though not as "fun," certainly have a lot to offer both the reader and authors in their journeys, don't they? 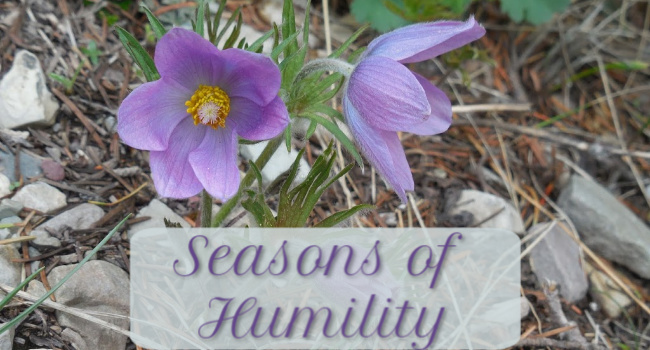 My blog being what it is, I have to ask - what is your favorite season? How might it tie into the current “season” of your writing career? Eniola: LOL. I really do love these questions. My favorite season is spring. It’s not too hot and not too cold. It ties in perfectly to the season of my writing career because it’s a time of new beginnings for me. I am publishing my debut novel and starting medical residency in a new city all at the same time. It’s almost a time for me to reset and open the next chapter of my life. I would like to walk into it boldly and with grace and I am enjoying every minute of the “newness” of the journey. Amber: Glad you liked the questions, Eniola. :) Thanks for responding to them! I can totally relate to you with that "spring" season of life right now. God bless you in this new beginning! 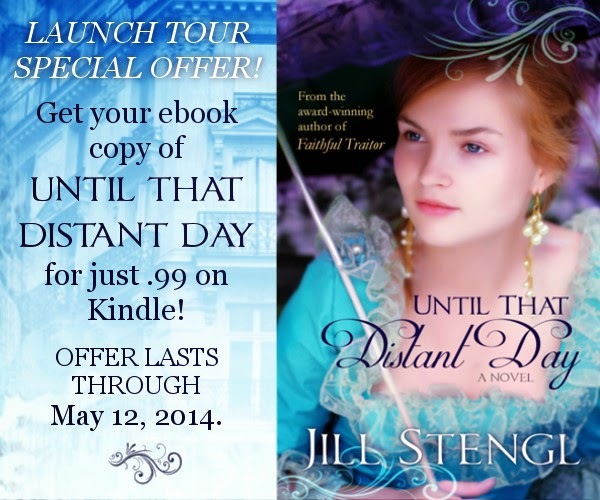 Eniola is offering a generous giveaway in honor of her debut's release! One person will win a signed paperback copy of Still, a $40 Amazon gift card, and a mystery gift. The winner will be announced on the last day of the tour, June 17th, on Eniola's blog and then notified by email. The giveaway is only open to residents in the United States. P.S. Don't forget to follow the rest of the tour HERE! 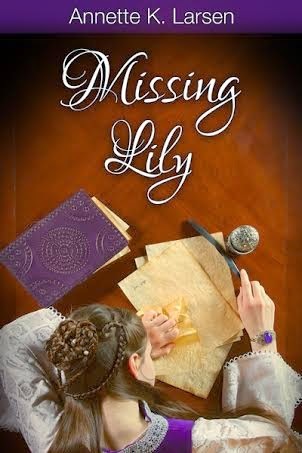 Missing Lily is a simply sweet YA romance story that includes a hero with a tiny bit of brooding but mostly a lot of heart. It's an easy read that's not steeped in research but has enough of a historical setting to appeal to the imagination (complete with a palace and monarchy). The story starts out with a chase, hidden identity, and adorable romance. When it expands beyond the home of Lord Fallon to include Lylin's family and destined life, new complications arise that throw the hero and heroine into emotional chaos. What begins as something sort of along the lines of Belle stumbling upon Beast's castle in Beauty and the Beast (with a hero that's much quicker to reveal himself a gentleman, mind you) turns into a tale of jealousy, shattered hopes, misunderstandings, and bottled-up fears. It's rather a frustrating read, in that sense, as so much could be resolved (or prevented) by open communication - but I suppose that's part of the fun of a romance, to a point! And the climax is rather dark for what was more of a lighter falling-in-love and being-thwarted-in-love story until then. While the romance is the driving force, there is an emphasis on familial relationships, as well - both functional and dysfunctional - which plays into that climax. The wide emotional range didn't overly affect me, personally, but it still made for an interesting read, and there are some really cute moments (and...*potential minor spoiler alert, though you probably know it's coming! *...an eventual happily ever after). 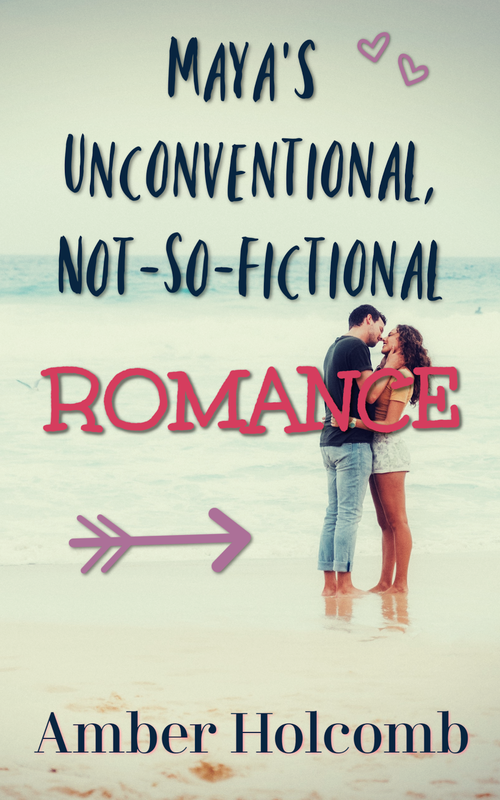 Larsen's first book, Just Ella, seems to be quite popular among fans of clean romance, and I imagine fans will find a lot to love with this overall sweet sequel. 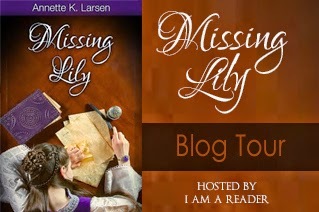 Follow the blog tour at I Am a Reader! Open only to those who can legally enter, receive and use an Amazon.com Gift Code or Paypal Cash. Winning Entry will be verified prior to prize being awarded. No purchase necessary. You must be 18 or older to enter or have your parent enter for you. The winner will be chosen by Rafflecopter and announced at I Am a Reader as well as emailed and will have 48 hours to respond or a new winner will be chosen. This giveaway is in no way associated with Facebook, Twitter, Rafflecopter, or any other entity unless otherwise specified. The number of eligible entries received determines the odds of winning. Giveaway was organized by Kathy from I Am A Reader and sponsored by the author. VOID WHERE PROHIBITED BY LAW. "Take one lovely young woman. Follow the second Gregory sister as she looks for true love and makes her way in a rapidly changing world in this breezy, lighthearted love triangle that will keep you guessing." I love Lorna Seilstad's take on historical fiction. It's fun. It's fresh. And it's fanciful within the realm of plausibility, as her stories play up unique historical settings and situations. 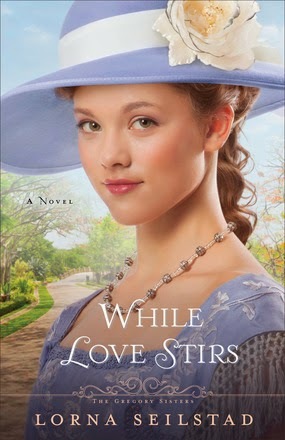 While Love Stirs explores everything from cooking, doctoring, rehabilitating, touring for a company, and even the theater (through the eyes of Charlotte's younger sister) - all at the turn of the century. The research behind it is intriguing; the way the research is incorporated is engaging. I enjoyed meeting the characters (for the first time, as I haven't read the first book in the series at this point) and witnessing the great battle between Charlotte and one of the young men who admires her. There's definitely a lot stirring in this story, from emotions to ambitions to romance to even a bit of mystery in a secondary character's storyline. I confess to peeking ahead too much...so I didn't stay fully "in the moment" throughout the whole reading experience. But taking the time to go back and read through each scene was still enjoyable, as Seilstad does a great job with characterization. I just would have liked a little more from the climax. And my second confession: I believe the back cover copy is sort of misleading. It certainly serves its purpose, as it caught my interest! But I personally didn't feel like the love triangle was much of a love triangle at all, nor was there a whole lot to be kept guessing about, at least in the main romance. (That could be partially a result of peeking ahead, though.) Based on all that the back cover promised, I would have loved a few more surprises - a little deviation from the expected. Yet some might delight to discover that the love triangle isn't overly prevalent. 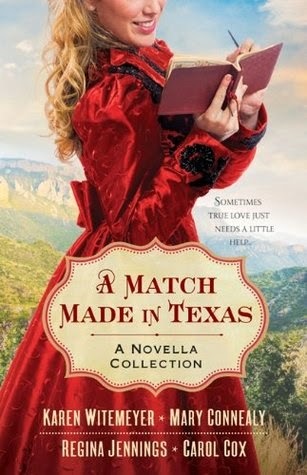 So, based on my love of Lorna's first two books (in the "Lake Manawa Summers" series), as well as my hopes based on the back cover, I would have loved a bit "more" from this book. However, it's still really fun in the tradition of Lorna's last series - and readers looking for clean and clever historical romance need look no further. Tessa's secondary storyline gave a good taste for her character's personality and interests, so Book 3 in "The Gregory Sisters" series should be another fun installment! Available May 2014 at your favorite bookseller from Revell, a division of Baker Publishing Group. Conclusion of the Resistance Blog Tour! Wow - this has been quite the tour! It's been such a delight to see the enthusiasm of long-time, as well as brand-new, fans of Jaye L. Knight/Molly Evangeline throughout this past week. Want to know what everyone's been gushing about? You can pick up your own e-copy of the book for only $3.99 on Amazon...and rest assured that a paperback version will be available there very soon! Did you miss any of the stops along this grand adventure? You can revisit them via the links below! Jace and I also posted the title of Book 2 in the series (coming in 2015) and a personality quiz created by the author! If you weren't a winner, remember that you can pick up your own copy of the book on Amazon, purchase a piece of handcrafted jewelry from the author at her Etsy Store, and buy a bookmark from Lodgepole Leathercraft. And so we come to the end of our journey celebrating the release of Resistance. Don't forget, though, that this is just the first in an epic six-book adventure! You can learn more at the Ilyon Chronicles website. Thank you for joining the resistance, and huge thanks to all the bloggers who made our journey so thrilling! "Kathy Andrews is good at goodbyes. Her mother is sent to a sanatorium, her sister, left behind in Chicago, and her father, forced to roam looking for work. So she holds close to the only one she has left, her brother Danny. When the two go to live with the Marshalls in the sleepy town of Brighton, she doesn't let anyone past hello. Elliott Russell frowns at his aunt and uncle's generosity--even though he and his sister are on the receiving end. He frowns, too, at the uppity city girl with a chip on her shoulder whom he can't get out of his head. When a tragedy rips apart what tenuous existence they manage to forge, will they find the sweetest place to be is in God's will--or will they turn their backs on faith that fails to protect against pain?" God's Will reminds me of something I love about movies set during the Great Depression: the value placed on family and togetherness. The harsh and difficult backdrop (probably frighteningly familiar for too many people today) really forces characters to sift through the things of life and discover what they long for most - what hope will keep them alive in times of separation and financial hardship. The uncertainty of the era really makes positive outlooks and sweet relationships shine all the more. That's what stood out to me about Gorecki's debut. While the hero got on my last nerves and didn't entirely win me over, the cast as a whole charmed me with their quiet, faith-based strength and their love for one another. I truly admire the author for pouring her heart into this story - for being willing to test her characters, display their doubts, and point unashamedly to their true source of healing. 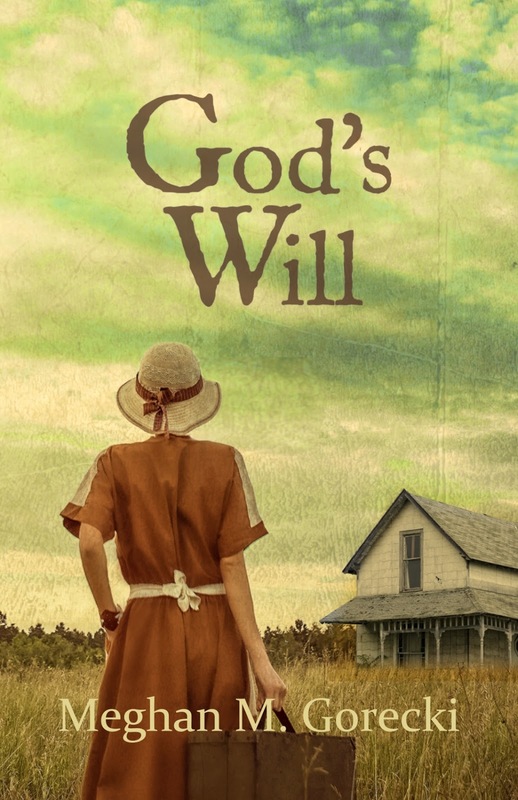 For a dose of rugged encouragement, and for fans of sweet historical Christian fiction, God's Will is a touching read. The story is told through multiple POVs, and while the writing gets a little bumpy (at least in the version I read), there are some lovely word pictures and poignant points to ponder. The story is on the shorter end of the novel spectrum (which is how my novels are, as well! ), but I still found it to be a slower read...gentle, sometimes drawn out more than necessary, but still very sweet. If you're looking for an adventure story, you won't find it here - at least not in the traditional sense. Instead, this book offers a rough and longer emotional journey for the characters, but one that has its own rewards tucked into tender scenes. 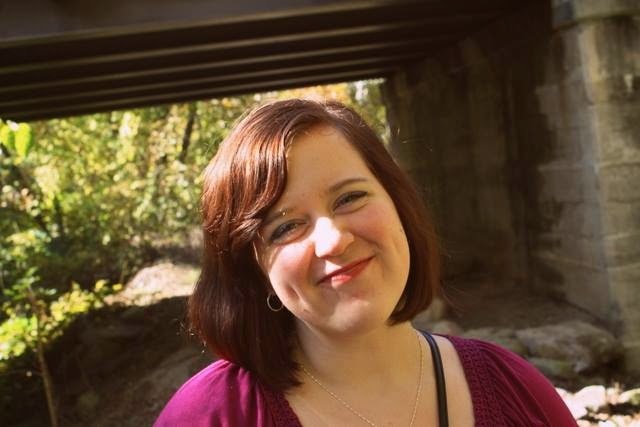 Find Meghan on her personal blog, writing blog, Facebook, and Twitter! If you'd like a chance to win a paperback copy of the book, there are still a few days left to enter the author's giveaway! 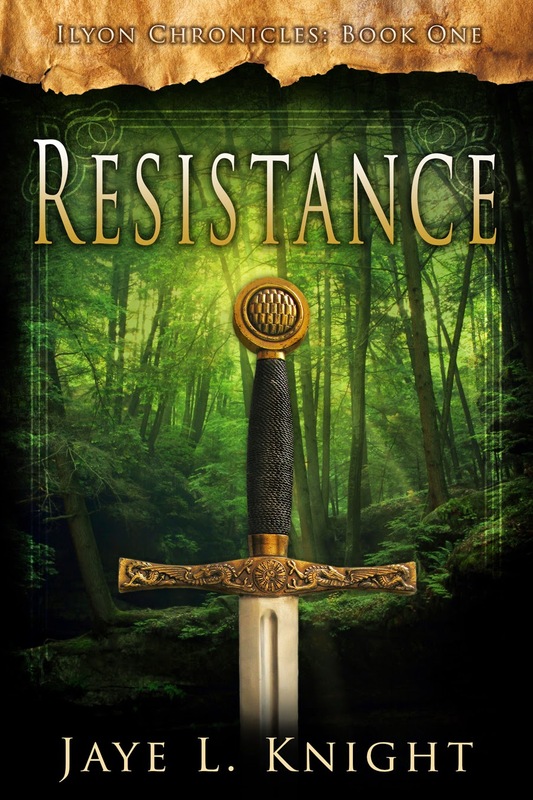 Fun and Games for the Resistance Blog Tour! 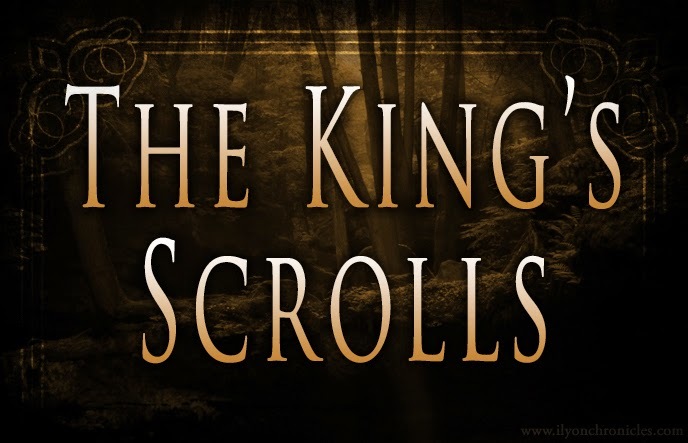 When a mysterious group of dragon-riding cretes arrive at camp, those in Landale must join their mission to rescue a teacher of Elôm and the last known copies of the King’s Scrolls before the emperor’s men can locate them. Let's talk a bit more about the series characters we already know. A lot of readers have expressed their love for Jace, and I'll admit that he's a favorite of mine, as well! But there's quite a large cast of characters. Many have very admirable characteristics and personalities. Apparently, I'm Kyrin, which means that I'm rather quiet, but I hold family and friends dear. I also have a good sense of self and what I believe - and I'm not afraid to stand up for that. Kyrin's faith is quite admirable, so I can't complain! I'd love to live up to that sort of personality description. What about you? Which Resistance character did you get? Let's chat about it in the comments section! And do share your thoughts on the title/logline of Book 2! P.S. The blog tour continues today and tomorrow, so don't forget to get your entries in for the tour-wide giveaway by Tuesday night! Also, there have been a few tweaks to the schedule since my introduction post, so please be sure to check out the blog tour page. I'm keeping it updated with direct links - you won't want to miss any of the great reviews, interviews, or spotlights! 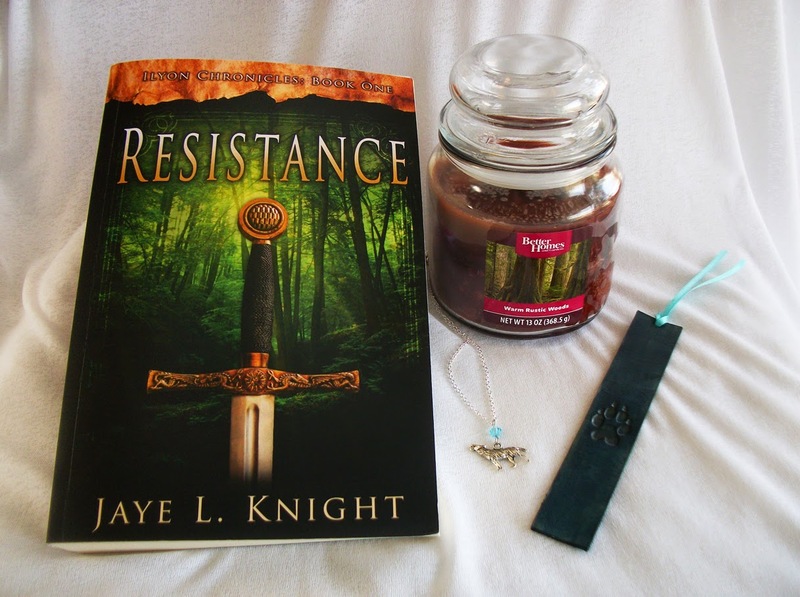 The Journey Begins: Resistance Blog Tour! Purchase a Kindle copy for only $3.99! Enter the Goodreads giveaway for a chance to win 1 of 3 signed paperback copies! Please note that this giveaway is open to U.S. residents only. What do you think? Are you ready to start the journey with us and join the Resistance? "Step back in time to a land of masquerades and mystery! Evie is a mask maker in Venesia, where masks represent rank and identity. When a cryptic bandit strips away Evie’s mask and destroys her home, she goes into hiding at the palace to find both a new identity—and revenge. Fantasy lovers will be caught up by the mystique, romance, and magic of What Is Hidden." With a cover that promised beauty and mystery (with a Mardi-Gras flair that caught my eye! ), and a tantalizing blurb that did the same, I couldn't resist this book. Not to mention the Cinderella reference - gotta love a good fairy-tale retelling! And indeed, I really did love this read. While I would have enjoyed a little glimpse at the history of this fantasy country where the entire population wears masks whenever others might see them, I was still completely swept away by the gorgeous descriptions and enchanting Venice-style setting. The color and life and intrigue kept me glued to my Kindle. Despite the plot twists and surprises that weren't entirely surprising by the time they came to light, there was still enough mystery and "chase" to hold my attention throughout the story. I really admired Evie's tenacity, her ability to recover quickly and discover ways to survive and thrive in new situations. (Although her lack of a real emotional reaction to a huge event in her life kind of made her a bit less "real" to me, for a time.) Readers who like heroines who can take care of themselves will appreciate Evie. And yet, she's a balanced character who also loves to tease, make pretty things, and dress up. The one she loves to tease? That would be Aiden, who takes care of her in whatever ways she'll let him. He's a lot of fun! While he definitely stands out among the cast, there are some other great characters in this Cinderella story that mostly takes place right within the palace itself. There are a couple of unrealistic reactions (one I've already mentioned) that frustrated me, but overall I had a ball immersing myself in this secretive world Skidmore created. The lovely masks were enjoyable to read about, and yet it's those times when masks are removed that give the story heart. 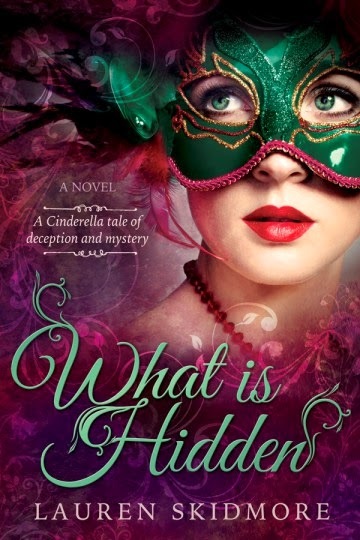 If you enjoy romantic and creative fantasy/fairy-tale reads, What is Hidden is your ticket to a delightful masquerade. 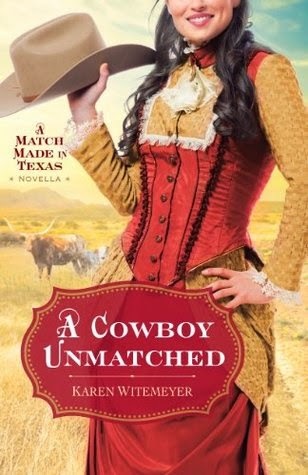 A Cowboy Unmatched features the youngest Archer brother (Neill) and a young widow who surprises him at every turn and thoroughly lassos his heart in no time flat. The love story is incredibly tender, as independent, outcast Clara finds herself wooed by protective, understanding, and gentlemanly Neill. Throw in a figure from Clara's past who poses a threat to Neill and Clara's future, add in some brief appearances and mentions of the older Archer brothers and their families, and you've got another engaging Witemeyer read that offers a sweet ending to the Archer tales! 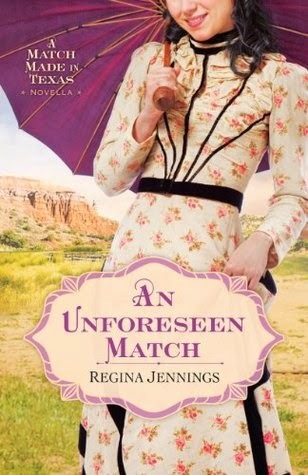 An Unforeseen Match is a story of misunderstandings and a battle of wills. Grace is losing her eyesight, but what's more, she might just lose her heart when a man with a secret shows up on her doorstep, answering an ad she never placed (and one far different than the one she had planned to place). Grace and Clayton's interactions and conversations are authentic and endearing, and I loved watching the romance play out. Some aspects of both the premise and the interactions reminded me a bit of Where the Wild Rose Blooms by Lori Wick (a story I fell in love with when I was younger) - and interestingly enough, the heroes of both books share the same name. This is a touching novella that ends up skimming the surface of some surprising depths. Precious Book Mail - Round 2! Love's Miracles was our first project together - and one of my very first projects with Editing Through the Seasons. I helped edit some of the content and re-type the book, then assisted Sandra in re-publishing it (which was an interesting challenge, navigating the book rights and making sure we did things "by the book," so to speak!). When we were getting ready to publish Love's Miracles to Amazon, Sandra asked me if I was taking "Amber Press." I ended up going with "Seasons of a Story" for my own publisher name for my books, so I was honored and pleased to let Sandra claim Amber Press. All three of the books include the publisher name on the spines, in the front matter of the book, and on the back cover. :) So sweet! 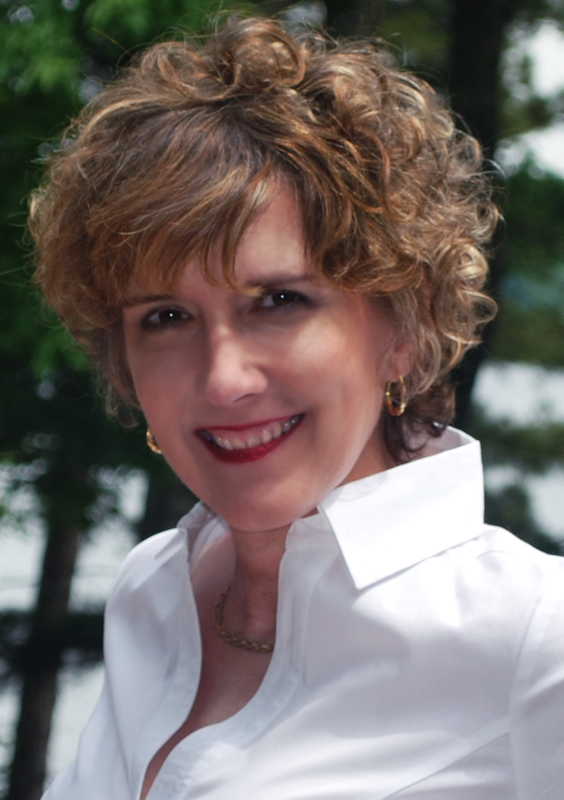 Sandra even recently created a website home for the publisher: www.AmberPressPublishing.com. They have the matte covers, so they're soft, which I love! I'm contemplating doing that for my own books now instead of using the glossy covers. Tell me, do you prefer matte or glossy? And have you received any precious book mail lately? Amber: First, let me introduce you all to Jill via her author bio! To be honest, I believe the French would like to obliterate much of that bloody history—and who can blame them? 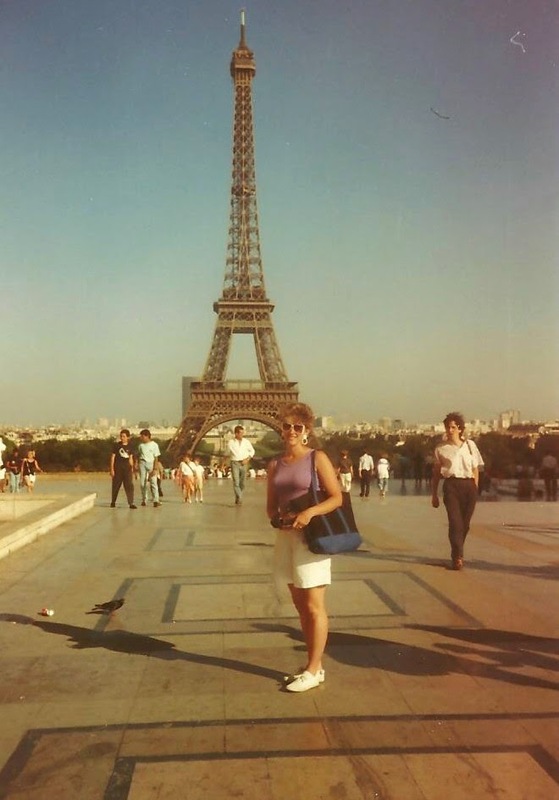 Jill: I wish I could tour the Palais des Tuileries, which no longer exists; it burned and was torn down in the 1800’s. I would also love to explore the gardens as they were then, and see the Royal Riding Academy that became the first Legislative Assembly. Napoleon Bonaparte had that building torn down to make room for the street that now runs directly north of the gardens. So much has changed, and yet so much history remains. And you are right: I definitely would not wish to experience the dangers of revolution or the possibly even greater hazards of bad sanitation and crowded living conditions! Thank you for the fun questions, Amber! Amber: Thank you for answering them, Jill. :) It's a pleasure to have you here - and congratulations on your latest release! Love's Promises Blog Tour Winner!